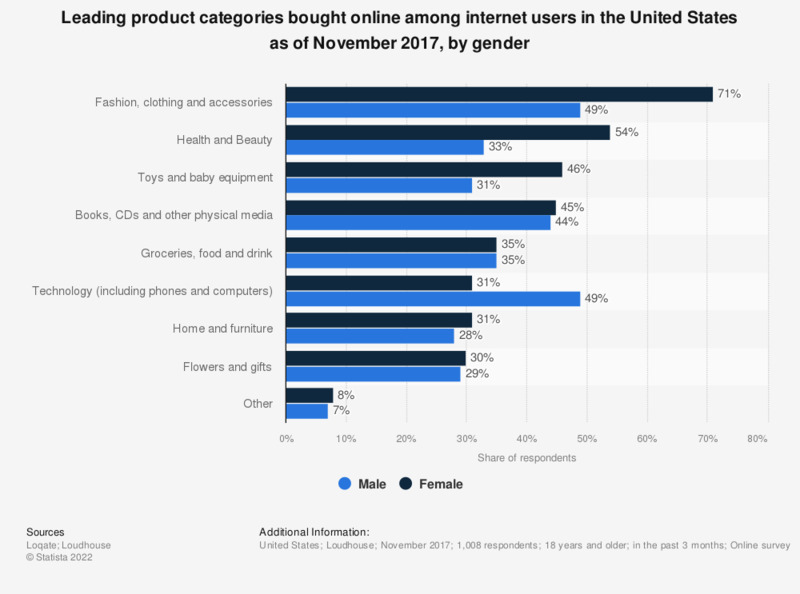 This statistic presents popular online shopping categories in the United States, sorted by gender. During a November 2017 survey, it was found that 71 percent of female respondents had purchased clothing online in the past 3 months. According to Loqate, a GBG solution, 49 percent of male respondents had bought clothing via internet. Fashion and apparel e-retail sales were also especially popular with Millennial online shoppers. Question: Which of the following have you bought online in the past three months? How do you prioritize selection of delivery options? Which physical adjustments need to be taken to keep you longer in the city center?